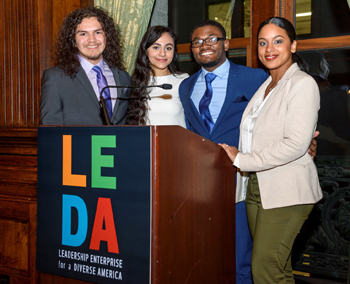 New York, NY – Thanks to a transformative investment from Lumina Foundation, Leadership Enterprise for a Diverse America (LEDA) has launched the LEDA Policy Project, which seeks to train and position young leaders from underrepresented backgrounds to lend their voices to federal policy discussions pertaining to postsecondary education. 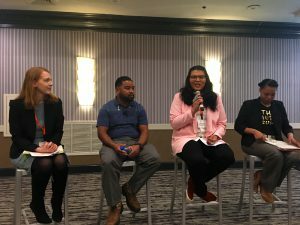 The LEDA Policy Project builds on LEDA’s mission of empowering those from underrepresented backgrounds and ensuring that diverse voices are at the table where decisions are made. 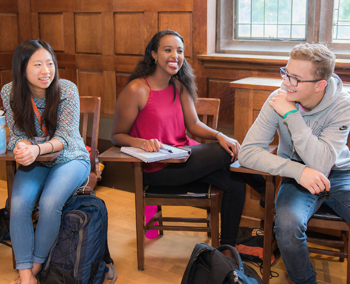 LEDA seeks to support Lumina Foundation’s goal to create a postsecondary system where the top priorities are completion of high-quality credentials, affordability, and closing equity gaps. 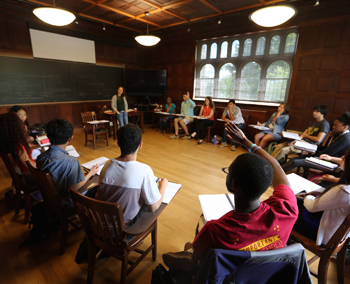 LEDA will train a core group of LEDA Scholars to become well-versed on the federal policy process and equipped to discuss the impact of federal education policies on their personal journeys to, and through higher education. Beginning with a Lumina Foundation convening (pictured at right) focused on federal postsecondary education policy, LEDA has begun recruiting LEDA Scholars who will participate in the LEDA Policy Project. 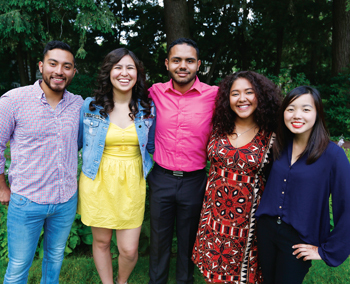 “LEDA Scholars are already leaders in their communities and on their campuses. Their talent, leadership, and perspective position them to inform the creation of effective federal education policies that can serve all students. 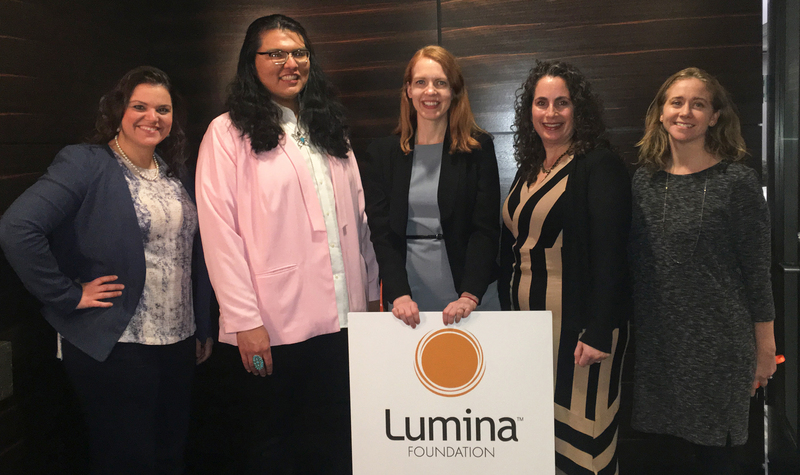 Thanks to support from Lumina Foundation, their voices will now be heard on crucial issues that impact so many of our nation’s young people,” said Beth Breger, executive director of LEDA. 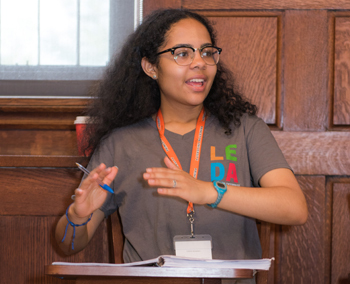 LEDA Scholars’ voices are critical to the formulation of effective federal education policies. The LEDA Policy Project advances both LEDA’s mission and its strategic priorities to prepare the next generation of diverse leaders. For media inquiries, please contact Cristina Morais at cristinamorais@ledascholars.org or (212) 672-9715.